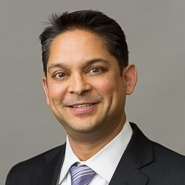 Marshall, Gerstein & Borun LLP is a proud sponsor of the 2013 Global IP Convention in Bangalore, India, where partner Sandip H. Patel will speak on patent term extensions for pharmaceutical patents. The theme of the convention is Intellectual Property Rights: The Powerhouse of Tomorrow, and it will be held at the Institute of Science Campus on January 23–25. Attendees will include senior IP counsel, patent attorneys and licensing executives from around the world. For more information, visit the convention’s official website.